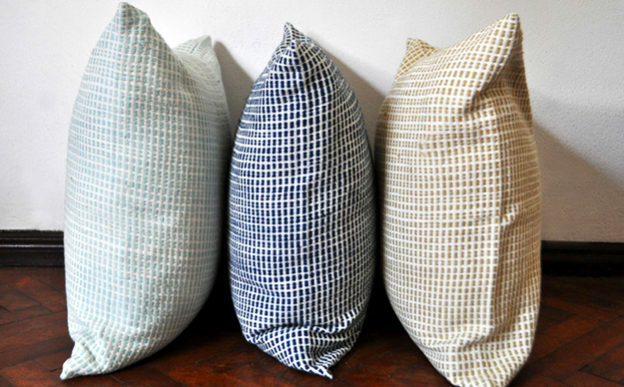 Using the traditional Ethiopian ‘pick up’ technique, these cushions are highly textured. They are designed on both sides of the cushion to create a seamless look. Beautifully made. Zipper closure. Machine wash cold. Hang dry. Low iron. No bleach. Cushion insert not included.